I look forward to enhancing your quilt tops while honoring your hard work. You can be very specific about what quilting thread and designs you would prefer. Or, I can listen to what the quilt wants to be. Either way, estimates will be given and all work to be done will be discussed and agreed upon before work begins. This will protect everyone and help ensure my policy of Satisfaction Guaranteed. For an estimate, email Rebeccah@mountainjoyquilts.com. Minimum order: $40.00 Rush orders are welcome with a 10% fee increase. Quilting prices are based on the square inch. To estimate, multiply: length x width x quilt style. Thread is a variable cost, depending on size and density of quilting. A baby quilt usually uses 1-2 bobbins. A thread change fee is applied only once per quilt with multiple thread changes. An example of a basic quilting estimate for a baby quilt with a simple meander is given below. I also offer a variety of quality battings at retail price. My current favorite is Quilter's Dream Oreint Blend. 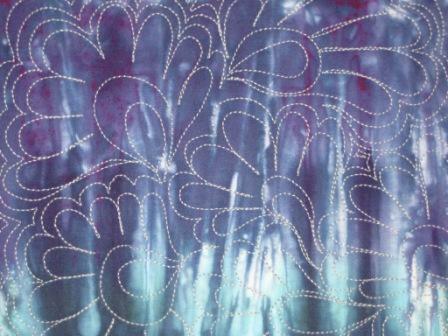 It is a luxurious mixture of bamboo, silk, botanic Tencil, and Cotton. I can take care of binding your quilt as well. I offer several types of binding and prices are based per linear inch. Binding fabric must be supplied by client in one of two ways. Either prepared and ready to attach as the binding or enough fabric for me to prepare with a $5.00 additional fee. Note: If you choose hand stitching option, please send a favorite movie along. It will be returned with quilt. Shipping prices will be discussed individually as some quilts may require insurance. I have a wonderful relationship with my small town Post Office and prefer to do most mailings through them. You see, I am so rural that I don't have a mailbox. On occasion, this causes problems that is why I prefer the USPS. UPS can find my house though too. This confusion is why I will most likley discuss shipping with clients individually. 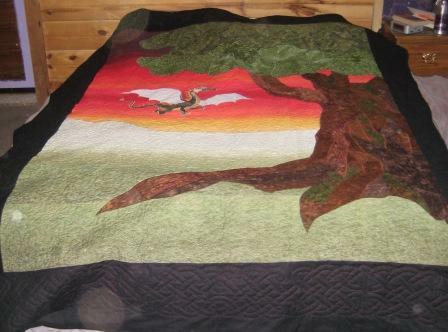 Mountainjoy Quilts accepts payments by check, money order, and Paypal.